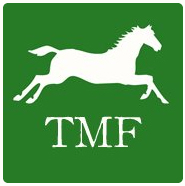 Welcome to the brand new free adoptable equine featuring site called The Morning Feed! We are very excited to be launching our site today, as horse lovers know that the first Saturday in May is always Kentucky Derby Day, or better known as Derby Day! You may be wondering why we have picked today to launch our site, well we have a few reasons -- yes, one being that we love Derby Day and want to share it’s birthday! -- another reason is that we feel passionate about racehorses finding a second path in life after their career is finished on the race course. And what better way to celebrate Derby Day than to also celebrate how versatile horses are --- they can go from a racehorse one day to a hunter/jumper, trail buddy, dressage horse, western pleasure mount or any number of other disciplines. But this site isn’t just about finding a second career for former racehorses, the site is open to all adoptable equines that are being represented by reputable horse rescues who share our passion for horses. Have a look around and bare with us, we’re still in the building stages, so the site may look pretty plain currently but over the next couple of weeks we’ll be putting on the Show Sheen to make it sparkle. For great horse lover gifts and rustic home decor, check out the NorthernHare!